Our corporate rentals in Louisville Colorado are ideal for business travelers, vacationers, and those in need of quality temporary housing in Louisville Colorado. We have a large selection of furnished apartments, condos, extended stay corporate suites, and homes for rent in Louisville CO and the surrounding areas of Boulder County, Broomfield and Denver Metro. We provide corporate housing in the convenient locations throughout Louisville Colorado: Close to McCaslin and Highway 36, Colorado Technology Park, Centennial Pavillion Lofts, Louisville Recreation Center, South Boulder Road, Storage Tech Drive, Dillon Rd, and more. We provide corporate apartments and furnished rentals close to major Louisville companies such as Cable Labs, Conoco Philips, and the Colorado Tech Center business park. Our furnished apartments and executive rental homes are a comfortable and affordable alternative to hotels and extended stay hotels in Louisville CO. They provide and excellent temporary housing solution for a wide range of needs. If you are in between homes, temporary work or contract assignment, in need of government housing, insurance housing, or just vacationing, our corporate rentals will make you feel at home in Louisville CO! Corporate Relocation Services in Louisville Colorado. Housing Helpers is a proud member of the Louisville Chamber of Commerce. Supporting the business community in Louisville Colorado. Call your Louisville CO Corporate Housing Experts! 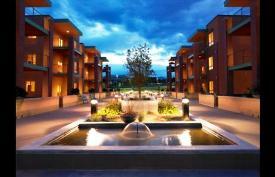 In July 2009 Louisville Colorado was ranked the best place to live in the United States by Money Magazine. Criteria included financial, housing, education, quality of life, leisure and culture, and weather data. Housing Helpers assists hundreds of people each year with relocating to Colorado, including Louisville. Whether you're in need of temporary housing, looking for long term rentals, or a home to purchase...Housing Helpers is a one stop resource for all of your relocation needs.